Mum of Five Staying Sane: Dear Kate and Wills, Are you in labour? Is the birth of the Royal baby any time soon? Are you fed up of people asking you how you are feeling?. Please can we have a Royal Edition of One Born Every Minute or should we all just leave you alone?? Dear Kate and Wills, Are you in labour? Is the birth of the Royal baby any time soon? Are you fed up of people asking you how you are feeling?. Please can we have a Royal Edition of One Born Every Minute or should we all just leave you alone?? I feel for William and Kate I really do. 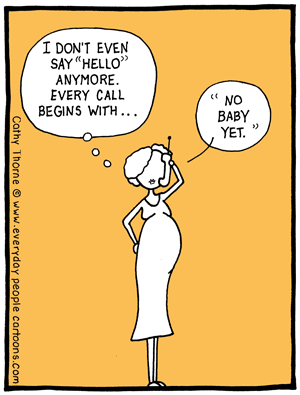 It's bad enough when your friends and family call you every day in the last few weeks of pregnancy. 'Any twinges', 'Are you still fat', 'How are you feeling'. All questions are usually met with a few profanities and the need to not engage in conversation with anyone until the baby has arrived. So to have the world's media camped outside the hospital where the impending birth is going to take place plus countless reporters elsewhere ready to catch you on the mad dash to the hospital or camped outside your home must be unbearable. In one of the most anxious, stressful and yet private and important times of your lives where you want things to go as smoothly as they can you do not want to be harassed by reporters, cameras and cars following you. I know, I know. Yes she's a Royal, Yes she is always in the public eye, Yes it's what she signed up for but jeeez give the girl a break. At the end of the day she's a pregnant woman the same as all other pregnant women nearing the end of a pregnancy. Whether it be your first, second (or fifth) each one is the same precious moment in time as the previous and it's a special time for everyone involved. Once she has had the baby I am sure she just wants to walk out of the hospital in her joggers and trainers, hair tied back in a ponytail and to get home to rest up and enjoy those first few baby days. If someone walked into my hospital room and told me that I had to get up put my poshest frock and shoes on, do my make up, have my hair styled and walk out into a flurry of reporters shouting at me and cameras flashing I probably would have slapped that person around the head with a bed pan. Yes, at the moment it feels like if the reporters get any closer they might as well be in the room with her. Shove a few cameras around the room and have the ITV and BBC Royal news correspondents fighting over who gets to be at the head end of the bed and who gets to be in the ideal position for the best first glimpse of the Royal Prince or Princess. No, just no. Leave the poor girl alone. I don't care if this is what she signed up for. She can have cameras shoved in her face every other day of her life but some days are just too precious to worry about the worlds media. 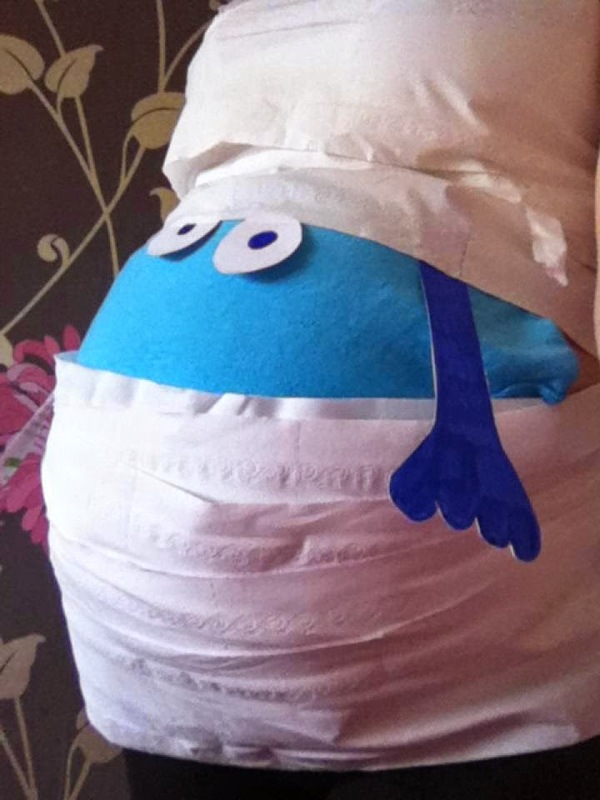 BTW Kate, if you want to dress your bump up as Mr Bump go for it, it's what other weird pregnant women do, right?! My 'bump'. What else would you do 4 weeks before your due date?! hahaha! that Mr Bump photo is fab!